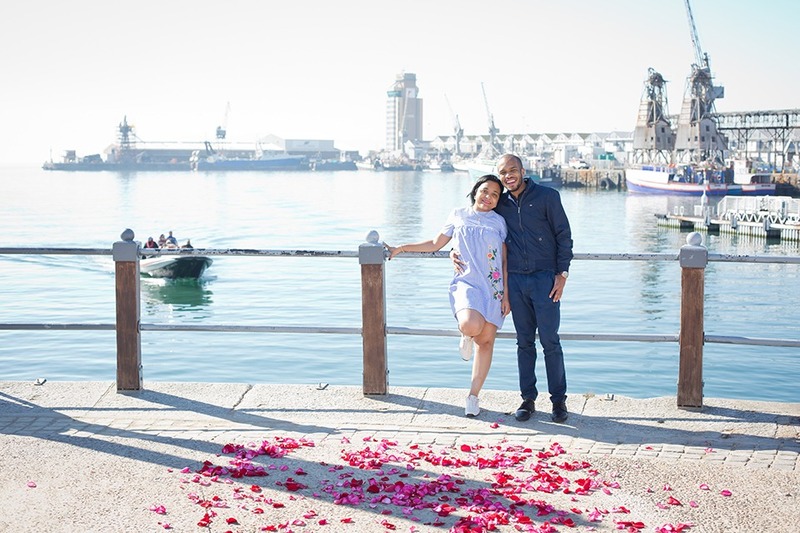 On the 26th May 2018, Anisio proposed to Ana at the VNA Waterfront in Cape Town. 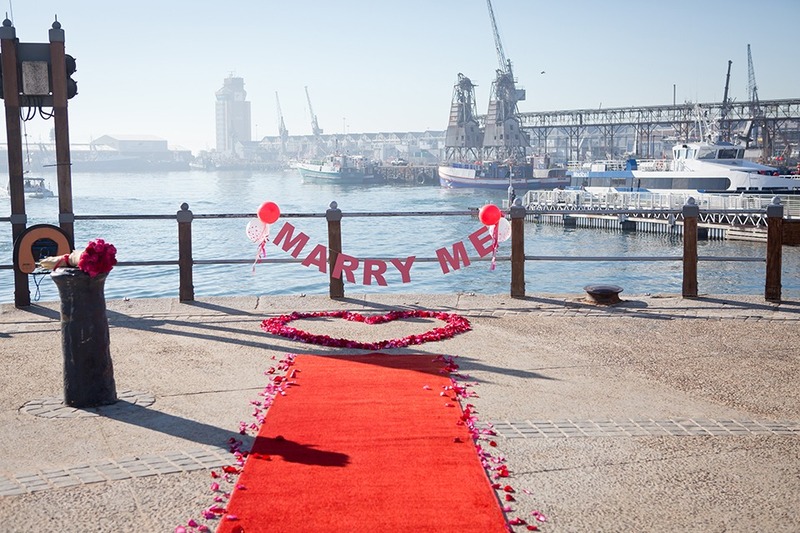 We had so much fun setting up this public proposal. 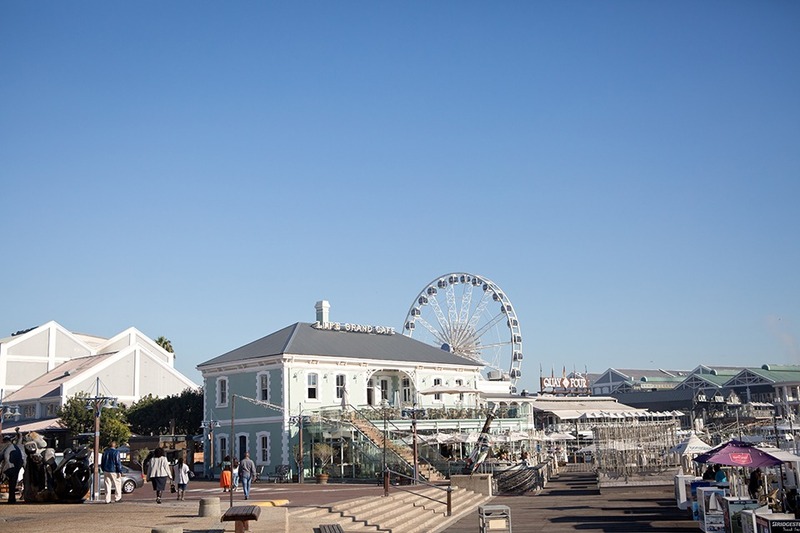 We used the VNA Waterfront which is filled with locals, tourists and shoppers. It was a Saturday morning so it was busy but not crowded. We knew this idea would draw a few on-lookers and Anisio was happy for that to happen. 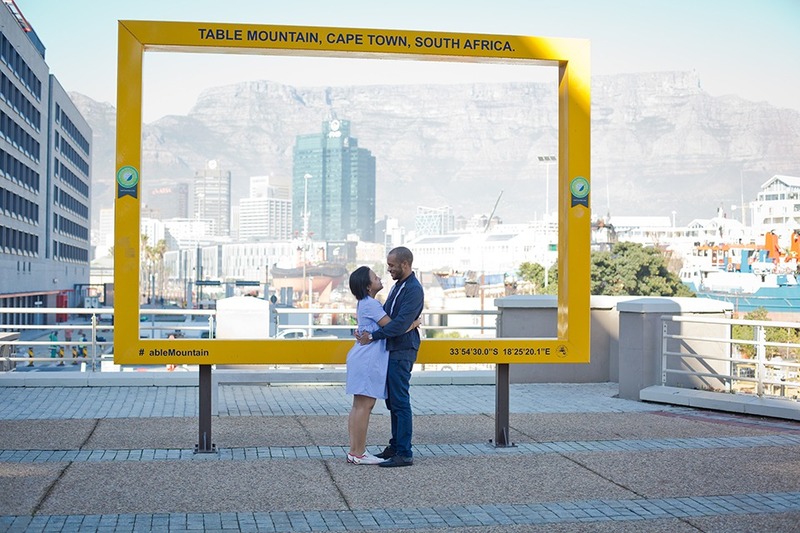 This is where we always ask our clients if they want a private or public proposal as they are very different. 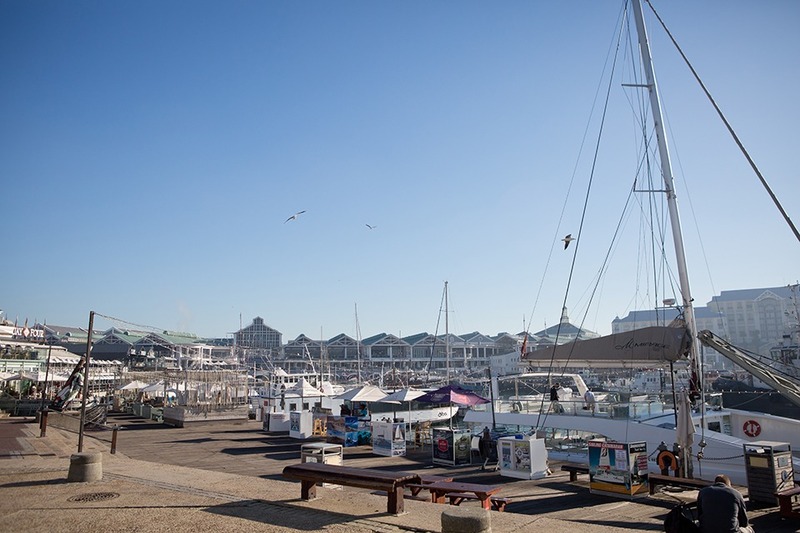 We used a spot near the clock tower as this offered stunning views of the harbour, boats and nearby restaurants. 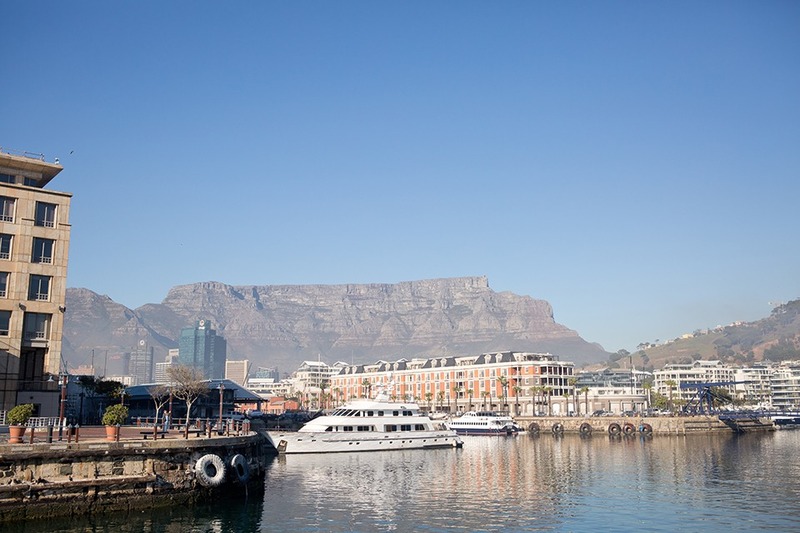 The weather was AMAZING, a sunny winters day. They were so lucky as May can be raining and cold. 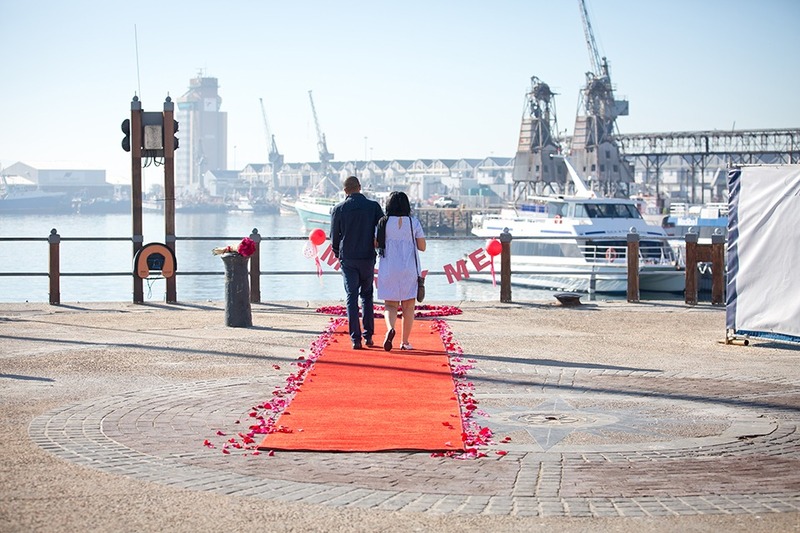 Anisio dream was to use a red carpet that they could walk down, which would lead them to a heart made from rose petals. To make it more dramatic we hung a ‘marry me’ sign for her to see as they approached. 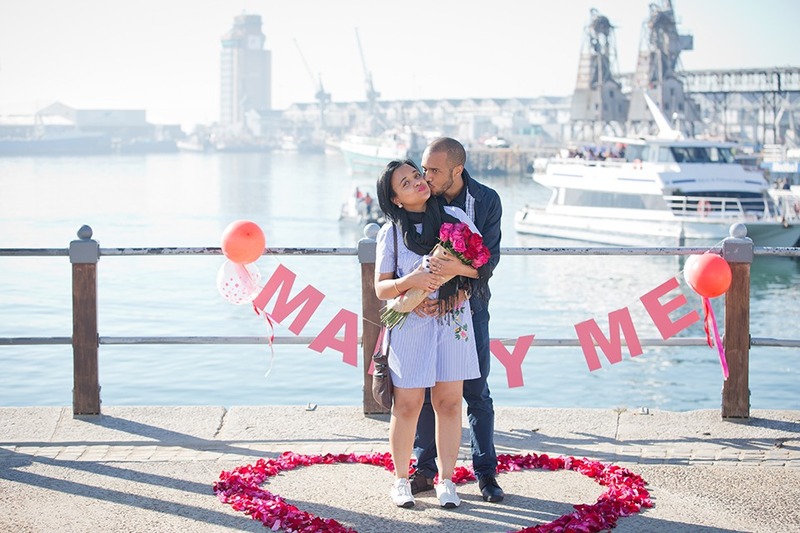 Ana had no clue that he was going to pop the question, she thought they were going to the Waterfront to shop. We hire the carpet from Puccini Creations and the plan was set. Anisio and Ana have been together for 4 years and counting. 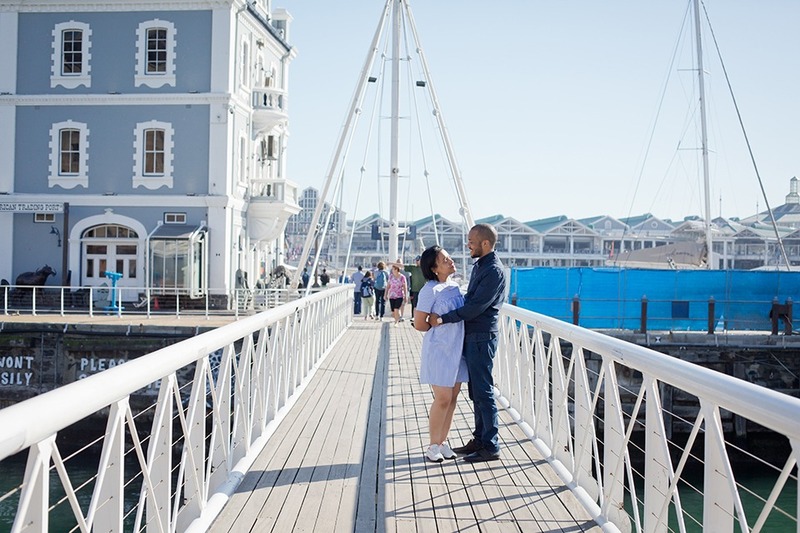 They met at a hospital and fell in love. He calls her “Amor” as she is Portuguese and it means LOVE. 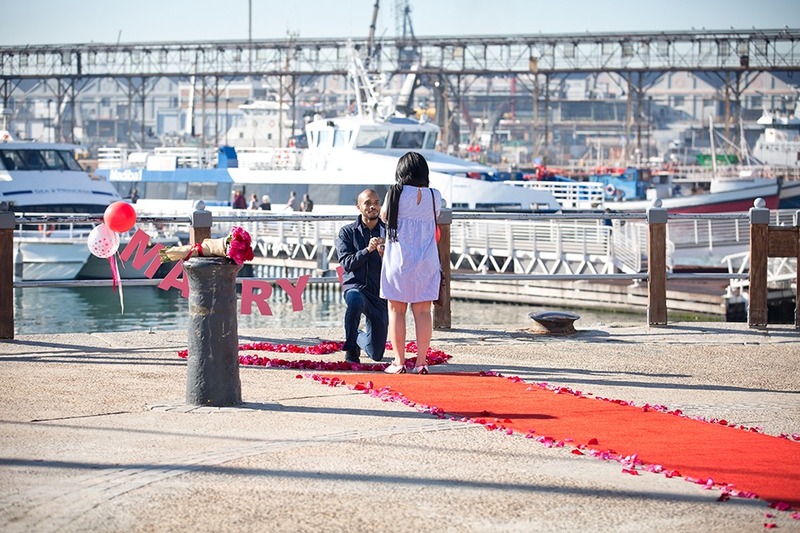 As they walked down the red carpet, Anisio led Ana into the heart and went down on one knee. 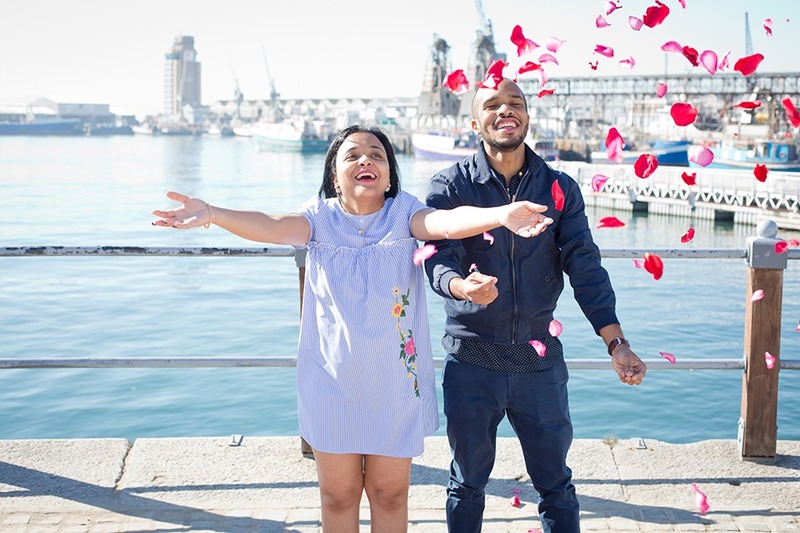 He asked for her hand in marriage, she said YES! 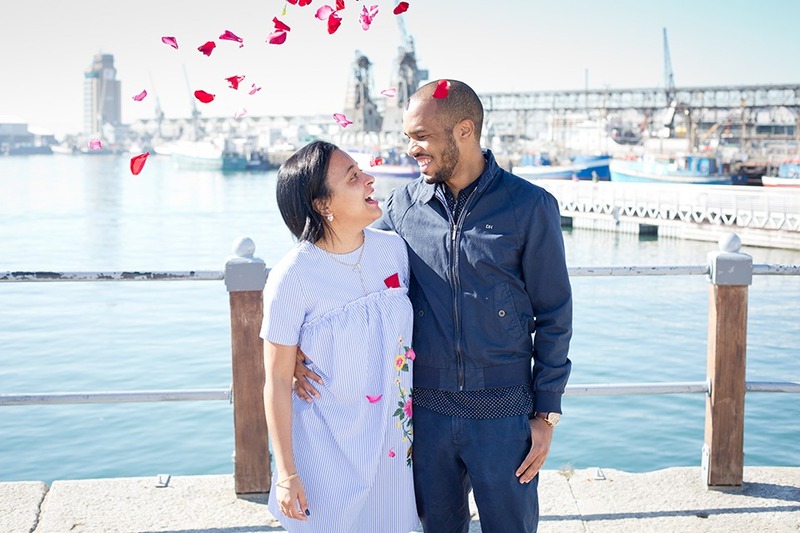 It was such a magical proposal filled with love and laughter. The crowd around cheered and clapped as it happened! 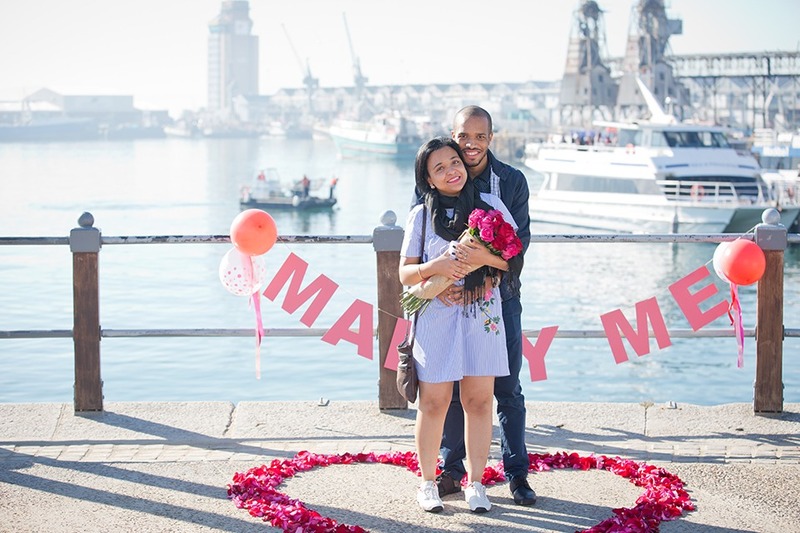 This is why we love public proposals as its a very happy experience and creates a really fun atmosphere. 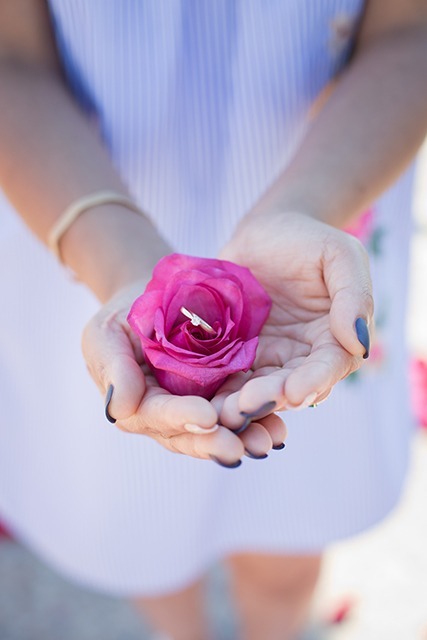 Kathryn captured the proposal on film and we are excited to share these photos with you. 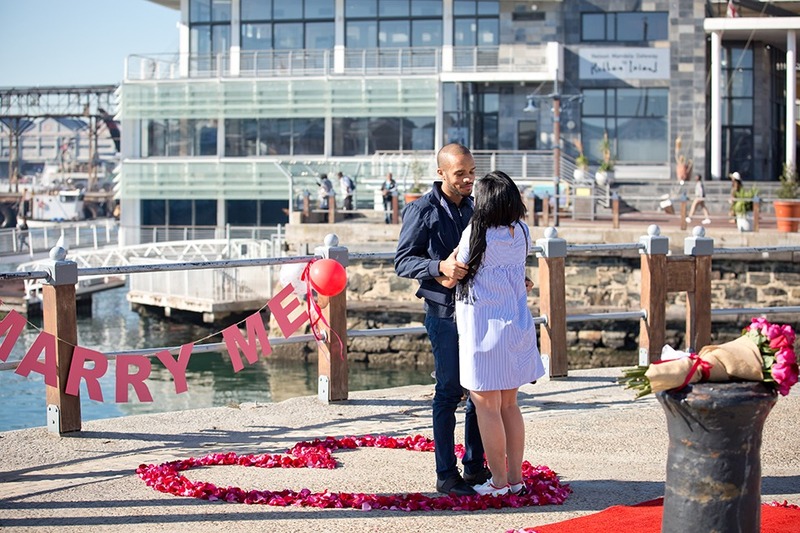 Anisio and Ana Waterfront marriage proposal was lots of fun! We wish them all the best for a happy and successful future.